Autumn has arrived—and with it, the vibrant purple and olive-green tones of Mexican sage adorning the meditative pathways of our beautiful CSU Long Beach campus. As we welcome faculty and students back from summer break, the Department of Asian and Asian American Studies (AAAS) would like to acknowledge the accomplishments of our outstanding students and faculty over the past academic year. We also wish to express deep gratitude to the community members, parents, and alumni who value and support the success of our students. On 10 December 2017 at the Hilton Los Angeles/San Gabriel, distinguished members of the Southland Chinese American community celebrated the official publication and release of the English edition (eBook and paper) A Legacy Magnified: A Generation of Chinese Americans in Southern California, 1980’s-2010’s. This historical account is encyclopedic and includes more than 1,300 photos illustrating various aspects of culture, history, political participation, economic growth, businesses, education, and much more. Over 500 volunteers worked on this project, dedicated to “All Chinese of past, present, and future generations who contribute to the world culture by incorporating the quintessence of Chinese civilization and their heritage.” Prof. San-pao Li , Professor Emeritus (CSULB), was instrumental in the publication of this important historical project. 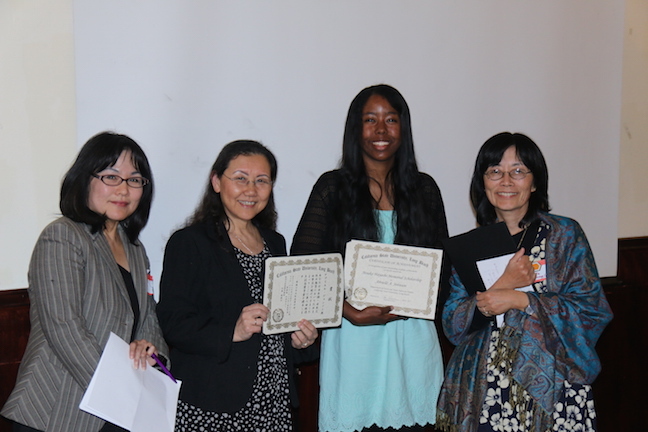 Assemblymember Patrick O’Donnell of the 70th district of California and chair of the Assembly Education recognized Darith Ung (below, center) as one of Long Beach City’s outstanding educators in the Fourth Annual Teach Recognition Ceremony on 3 May 2018. 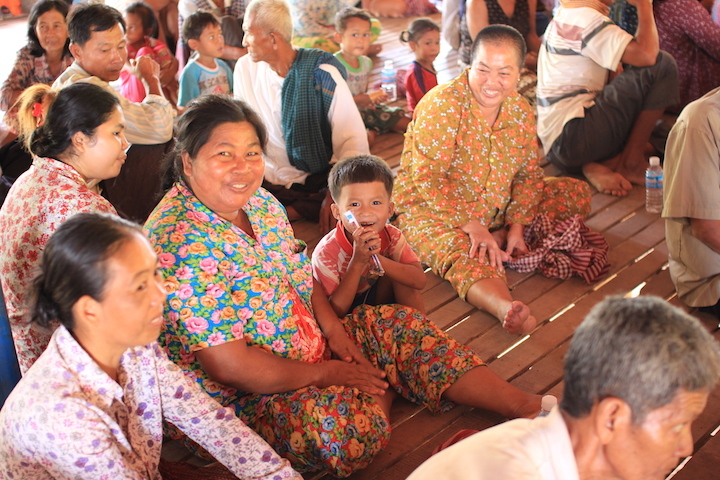 Ung, an instructor in our new Cambodian Language and Culture minor, has been teaching Khmer for over 20 years. He spearheads the Woodrow Wilson Classical High School’s Khmer language courses in their foreign language program. In fact he is the only credentialed Khmer language speaker in California. 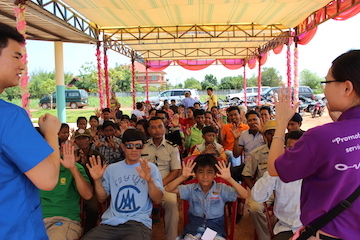 O’Donnell praised him for promoting Khmer culture to youth. This is particularly important in Long Beach, home to more Cambodians outside of Cambodia than any other city in the United States. Since 2015, the Asian American Studies program has participated in the Ethnic Studies Initiative (ESI) to teach the course ASAM 215 “U.S. Diversity and the Ethnic Experience” on Saturdays for college credit to high school students in the Long Beach Unified School District. This course is a survey of the history and experience of four major ethnic groups—Native American, African American, Chicano/Latino American and Asian American—in the United States. It focuses on the formation and transformation of each ethnic group and their individual and collective roles in the development of the United States. Over the years, the ESI program has expanded to the El Rancho and Norwalk-La Mirada Unified School Districts. Thanks to the commitment of Professor Linda Maram and Instructor Ivy Daulo, AAAS offers the only two-year Filipino language program in the CSU. Learning Filipino is fun! Filipina American author Marivi Soliven Blanco with FIL 101 students. On 6 November 2017, AAAS co-sponsored Nancy Wang Yuen’s talk “From Minstrelsy to Hellboy: The Whitewashing of Asian Americans in Hollywood.” The talk focused on her unique publication Reel Inequality: Hollywood Actors and Racism (Rutgers University Press, 2016). It is the first book to examine the barriers actors of color confront in Hollywood and the creative ways they challenge stereotypes. Prof. Yuen also pioneered the first policy report on Asian Americans and Pacific Islanders in prime time television and a 10-year follow-up study titled, “Tokens on the Tall Screen: Asian Americans and Pacific Islanders on Prime Time and Streaming Television.” She spoke to a packed audience. Celebrating Vietnamese American writers, artists, scholars and supporters, September 2017 at CSULB’s Multicultural Center. 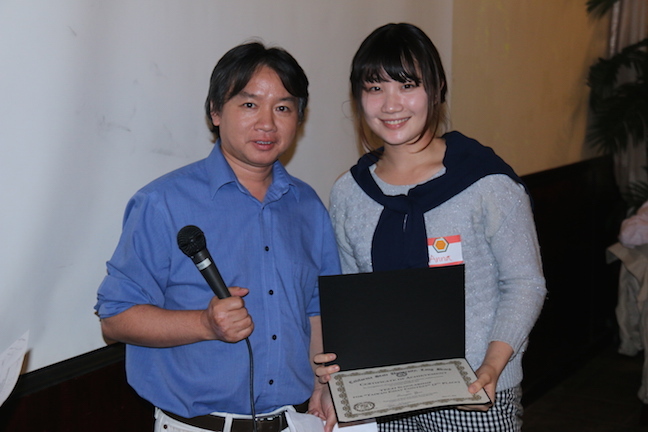 This event was organized by Vietnamese language instructor Quyen Di Chuc Bui. October screening of First They Killed My Father at the Long Beach Aquarium. AAAS graduating class of Fall 2017/Spring 2018. Spring 2018 AAAS graduates with a B.A. degree in Japanese, Chinese Studies, Asian Studies and Asian American Studies. Spring 2018 AAAS graduates with an M.A. 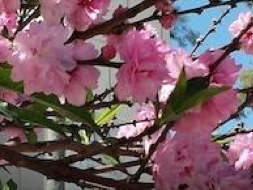 in Asian Studies, including options in Chinese Studies or Japanese Language and Pedagogy. 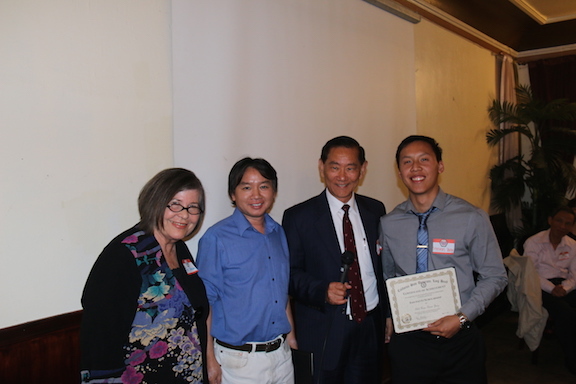 The Department of Asian and Asian American Studies seeks tax-deductible donations for our 2019 scholarship fund. 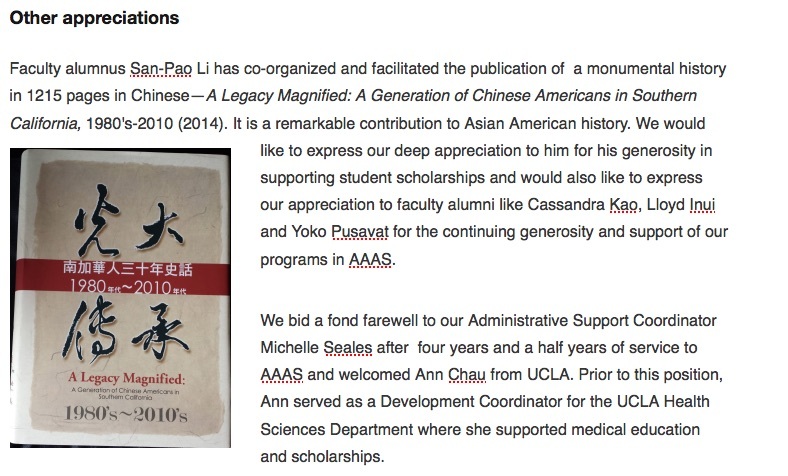 If you wish to support AAAS scholarships and awards, please send a check to: Department of Asian and Asian American Studies, 1250 Bellflower Blvd-MS 1002, Long Beach CA 90840. Your check should be made out to the “CSULB 49er Foundation” and include a memo indicating your donation is for the AAAS Scholarship fund. If you have any questions, please call the AAAS office at 562-985-4645. We deeply appreciate your support. 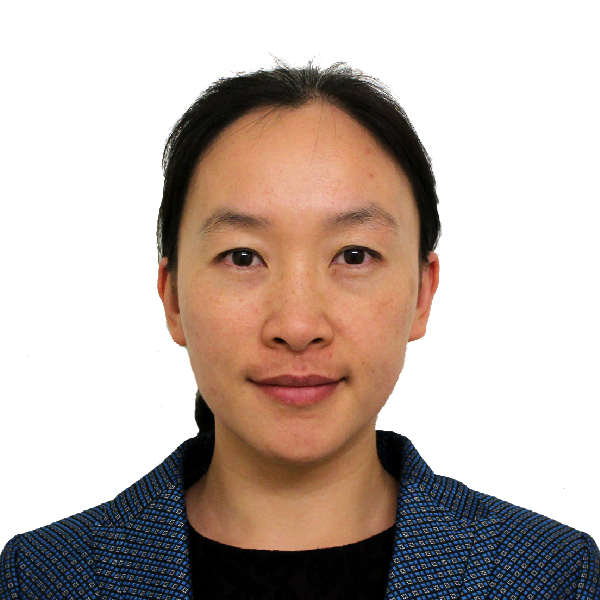 We are delighted to introduce our new colleague in AAAS: Dr. Kyoungmi Ha, Assistant Professor in Asian Studies (Korean Language & Culture). She has a BA degree in both Education and Korean Language/Literature and an MA degree in TESOL/Applied Linguistics. Prof. Ha recently received her Ph.D. in Asian Languages & Cultures (Korean Linguistics) from the University of California, Los Angeles. 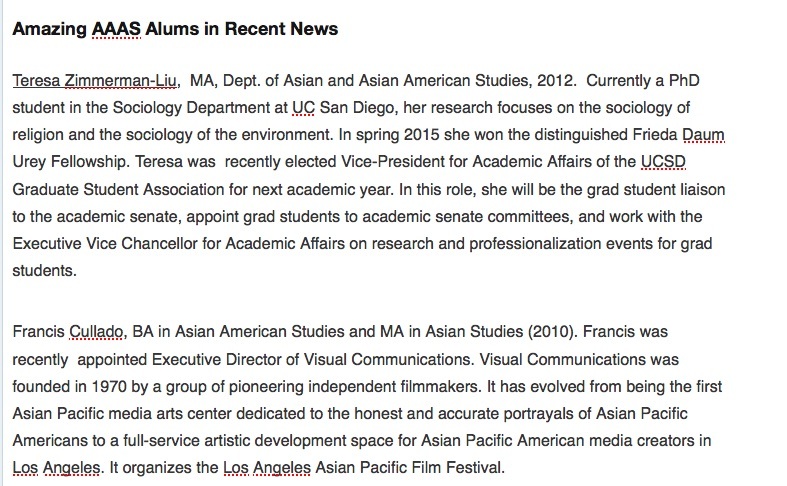 She has taught Korean language classes at SDSU, UCSD, La Sierra University, UCLA, and Claremont McKenna College. Her research interests include discourse/conversation analysis, prosody, second language acquisition, and language pedagogy. Her current research explores the ways in which Korean speakers utilize sentence-ending suffixes to convey specific social actions and knowledge levels in both ordinary conversation and institutional talk. Using naturally occurring large data, she examines the regularity of language use of social interactions cross-linguistically. Her research also suggests a new perspective for teaching grammar in the language classroom. She will serve as coordinator for our growing Korean language program. Dr. Sam Coleman participated with a panel of fellow specialists in the social sciences and clinical psychology at a symposium on PTSD, organized by Veterans for Peace Japan on 10 June 2018 Waseda University in Tokyo. They discussed the problem of PTSD among returning soldiers (SDF, in Japan’s case), Battle of Iwo Jima survivor descendants, and victims of the 2011 Tohoku / Fukushima Triple Disaster. Professor Masako Douglas published a refereed article “Assessing the Effectiveness of Content-Based Language Instruction (CBLI) in Japanese at the College Advanced Level,” in the Japanese Language and Literature journal. She presented a refereed paper at the International Conference on Heritage/Community Languages and an invited paper at the National Coalition of Community-Based Heritage Schools Conference, and co-presented a refereed paper at the American Council on the Teaching of Foreign Languages Annual Conference. 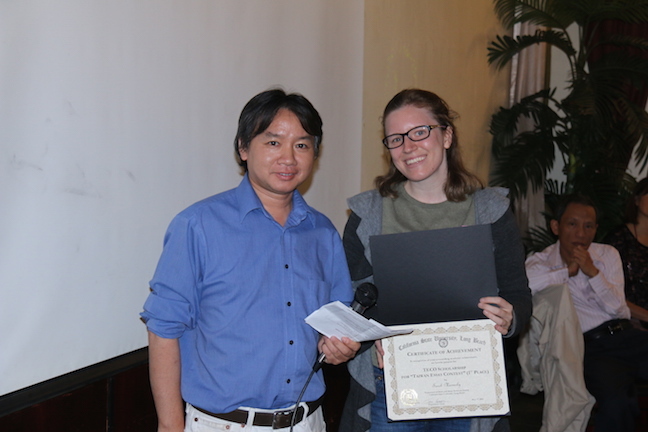 She gave one key-note presentation and two workshops in the U.S. and Canada with topics on Japanese-language teaching and instructional activities and their effect to teach Japanese as a heritage language. Professor Teri Yamada published a refereed article “Phnom Penh’s NagaWorld Resort and Casino.” Pacific Affairs 4: 743-765, the essay “”Violent Traces: Writing Cambodia” in Consequence Magazine (2017) 9:176-185 and a co-translation with Soknea Nhim of “The Kerosene Lamp Ghost Stories” by Sok Chanphal who received the S.E.A. 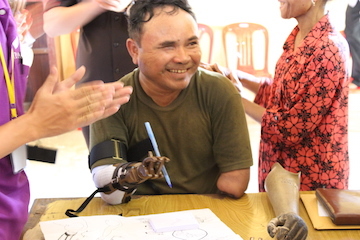 Write award for Cambodia in 2013. Please contact the Department of Asian and Asian American Studies for further information. As midsummer 2017 ends, the Department of Asian and Asian American Studies pauses to reflect upon the many accomplishments of its students and faculty during the past academic year. Fall 2016 began with two new minors: Korean Language and Culture and Cambodian (Khmer) Language and Culture. We are the first university in the United States to offer a minor in Cambodia language as part of our recognition and support of the Cambodian community in Long Beach. Our Korean language program is expanding, partly due to the current popularity of Korean culture among youth in the United States. Accolades are due also to our outstanding Korean language instructors: Professors Jihyun Park and Haely Ariel Lee. Prof. Park with CSULB Korean Language students at Korean Cultural Center in Los Angeles. The Japanese program sponsored a reception for seven Meiji University students from Tokyo along with their chaperone on September 7, 2016. Around sixty CSULB students interacted with the Meiji students in a meaningful cross-cultural exchange that started with a Meiji-student presentation on “Japanese Idols” followed by a reception then dinner at one of the CSULB resident student dining halls. It encourages students to participate in study abroad programs in Japan, including Meiji University in Tokyo, Josai International University in Chiba, and Tenri University in Nara. Its faculty are experts in Japanese language pedagogy and heritage language learning and teaching. During August 2017 they directed a Heritage Language Summer Institute to train teachers in best practices in Japanese language instruction to a wide range of students. Language instructors from Southern California and other areas of the United States attended this five-day Institute at CSU Long Beach, which was supported by the Japan Foundation and CSULB Heritage Language Funds. Asian Studies is devoted to an interdisciplinary approach to comparative Asian Studies. The introductory course Asian Eats, based upon this methodology, is expanding in popularity and we will be developing a new minor in Asian Studies in order to meet student demand for both major and minor options. The program continues to support a wide range of students from various disciplines across colleges. With its expertise in Cambodian culture, the Asian Studies program assists student organizations to develop media for public outreach campaigns to educate other students and the community about the Cambodian experience (Spotlight). ASAM provides leadership for a new Ethnic Studies Initiative, developed by a collaboration of ethnic studies programs in the College of Liberal Arts, to promote Ethnic Studies education in the Long Beach Unified School District (LBUSD). This coalition offers the course “US Diversity and Ethnic Experience” for college credit on Saturdays at participating high schools in LBUSD. Special recognition is warranted for Adjunct Professor Larry Hashima’s role in curriculum and faculty development for this innovative, successful project. 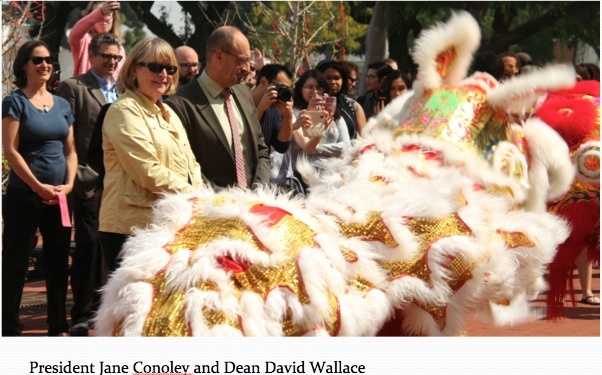 American Studies nurturing links between CSULB and the APIA community. Over 20 representatives from various programs/ departments attended this gathering. Community representatives from Empowering Pacific Islander Communities, Filipino Migrant Center, Filipino Cultural School, United Cambodian Community, and Visual Communications shared knowledge about community, student, and university engagement opportunities. This program continues to expand its minor in Chinese Language and Culture while restructuring its major to meet student demand. 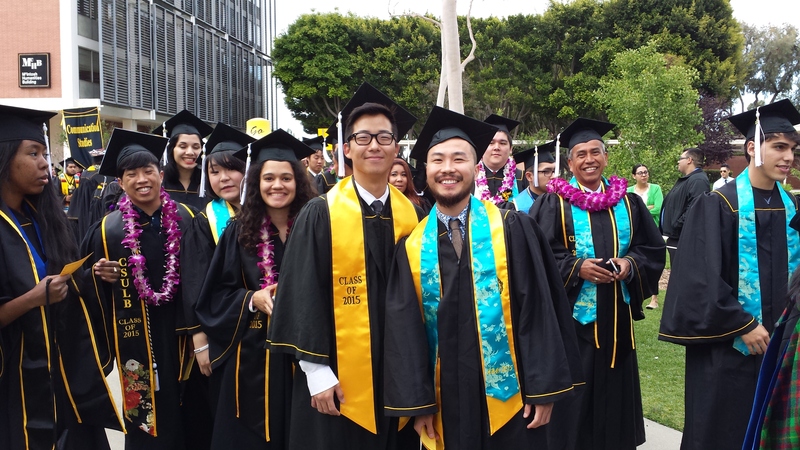 For the past two years it has developed a Chinese language program at Sato Academy, which will be subsequently managed by the CSULB Confucius Institute. 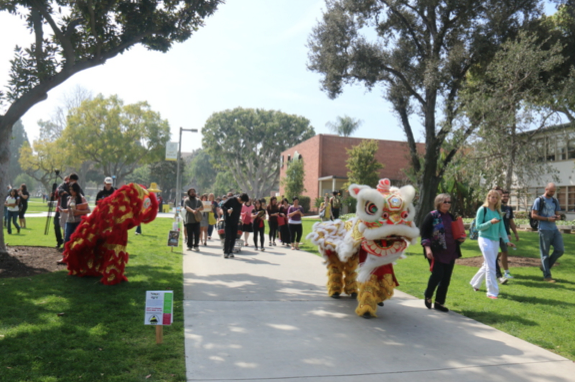 The Chinese pedagogy option in the Asian Studies MA program has proven to be popular given the demand for Chinese language instructors in both public and private schools throughout California. It supports several study abroad programs in China and Taiwan. Our first cohort of MA graduates in the restructured Asian Studies MA program graduated in Spring 2017. Among the four who graduated, Ralph Fleming is back in New Jersey working as a military analyst (Asia specialist) for the U.S. government. Francis dela Cruz (2015), after working for several years in Student Affairs, at was accepted into Gonzaga University Law School for Fall 2017. He plans to specialize in immigration and civil rights law. Francis Cullado (2015). As the director of Visual Communications, which produces the Los Angeles Asian Pacific Film Festival, Francis has been awarded a grant from the California Arts Council as part of its Artists Activating Communities program. Jeffrey Zeiser (2013). After teaching English composition and college prep skills to international students in Los Angeles for five years, Jeff is returning to AAAS to teach our Senior Seminar AST 492 and a composition course ASAM 100. Her project is a comparative sociological study of how two of Taiwan’s modern Buddhist groups, Dharma Drum Mountain and Buddhist Tzu Chi Compassionate Relief Foundation, promote environmentalism and sustainable lifestyles as part of their faith doctrines and practices. Teresa is a PhD Candidate in Sociology at University of California San Diego working with Richard Madsen, Distinguished Professor of Sociology and Sinologist. She served as Vice President of Academic Affairs of the UCSD Graduate Student Association (2015-2016) and was the Lead Teaching Assistant in UCSD’s Thurgood Marshall College Dimensions of Culture Writing Program (2016-2017). She is also a recipient of the CSU Chancellor’s Doctoral Incentive Program award. Her publications include articles in Review of Religion and Chinese Society, Journal of Church and State, and Social Sciences and Missions, as well as translations of writings by the prominent Chinese dissidents Liu Xiaobo and Huang Xiang. Professor Hiroko Kataoka published a book chapter co-authored with Masako Douglas, “Kazoku to sendai o tsunagu keishoogokyooiku (Heritage language education that connects families and generations),” in Hito to Tsunagari Sekai to Tsunagaru Nihongo Kyooiku (Japanese Language Education connected to people and the world), Kuroshio Publishing Co., Japan in 2016. She was also a consultant to and a writer for the Japan Center at the University of Alaska, Anchorage’s Disaster Prevention Workshop Project. She presented one refereed paper at the American Association of Teachers of Japanese conference, and gave six workshops and institutes for Japanese language teachers nationwide. Professor Masako Douglas published two co-authored book chapters. “Crisis, Change, and Institutionalization: Adopting a New Curriculum at a Japanese Weekend School,” co-authored with Robert M. Uriu, was published in The Routledge Handbook of Heritage Language Education, Routledge Taylor Francis in 2017. “Kazoku to sedai o tsunagu keishoogokyooiku [Heritage language education that connects families and generations],” co-authored with Hiroko Kataoka, was published in Hito to Tsunagari Sekai to Tsunagaru Nihongo Kyooiku [Japanese Language Education connected to people and the world], Kuroshio Publishing Co., Japan in 2016. She also published an instructional unit for the learners of Japanese as a heritage language. Dunk Tank for Natsumatsuri (Japanese summer festival) at a Japanese Language School: An instructional unit created for project-based language learning with interculturarity was published by National Foreign Language Resource Center, University of Hawai’i, on the website http://nflrc.hawaii.edu/pebbles/prototype/doc/181/ in 2016. Associate Professor Kiyomi Chinen gave a refereed presentation at the Canadian Association for Japanese Language Education (CAJLE), a keynote presentation, and two workshops related to Japanese-language teaching in several regions in the U.S. and Canada. His talk for this symposium, “Veterans’ Psychological Wounds,” was also presented to the Association for the Study of Returned SDF Soldiers’ Wellbeing. Prof. Teri Yamada was invited to present “The Production of Precarity: Phnom Penh’s New Satellite Cities,” for the workshop “Living in an Age of Precarity: Living and Lives in 21st Century Asia,” on 27 February 2017 at the Asia Research Institute, National University of Singapore. She was invited to lecture on Cambodian literature at the U.S. Dept. of Education sponsored AANAPISI workshop on faculty development at the University of Massachusetts, Lowell, March 16-18. Swedish PEN published her article “Balancing Act” in The Dissident Blog, April 18. Her article “Violent Traces: Writing Cambodia” was published in Consequence Magazine 9:176-185 along with Sok Chanphal’s short story “The Kerosene Lamp Ghost Stories.” co-translated with Soknea Nhim (9:89-102). Two academic articles were accepted for publication: “Phnom Penh’s Diamond Island: City of Spectacle” forthcoming in Routledge Handbook of Urbanization in Southeast Asia (Rita Padawangi, ed. Taylor and Francis Books) and “Phnom Penh’s NagaWorld Resort and Casino,” forthcoming Journal of Pacific Affairs for a special edition on casino capitalism in Southeast Asia. 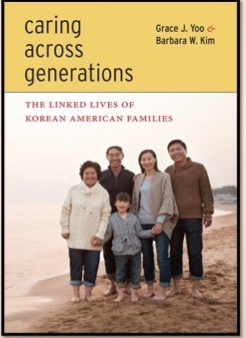 Professor Barbara Kim’s book Caring Across Generations: The Linked Lives of Korean American Families, co-authored with Grace J. Yoo, received the 2015 Asia and Asian America Section Best Book Award from the American Sociological Association. 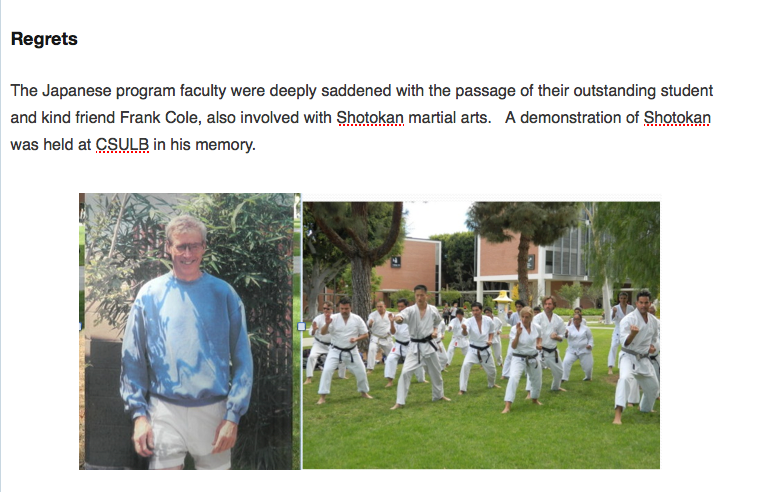 Professor Dean Toji has served on the Board of Directors of the Little Tokyo Service Center (LTSC) since 1994. In the 1990s, the LTSC identified a recreation center as a top priority for both the local downtown community and Japanese Americans throughout the southland. After decades of community effort, Los Angeles’ historic community Little Tokyo will soon have a new recreation center, the Terasaki Budokan. The groundbreaking ceremony on 3 August 2017 launched the construction of this $27-million multi-purpose activity center. The Terasaki Budokan will host basketball, martial arts, volleyball, visual and performing arts, youth and senior programs, and events such as weddings on its rooftop garden. AAAS enjoyed a productive and creative 2015/16 academic year with many successes and challenges as our student enrollments continued to increase. We sponsored or organized a number of intellectually stimulating interdisciplinary events for the CSULB community. 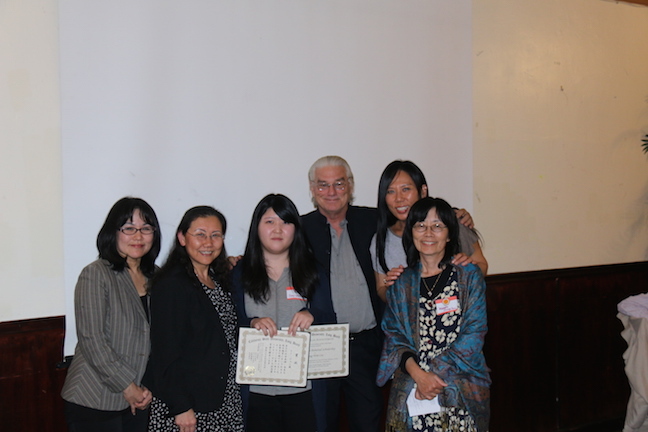 In fact, the Asian American Studies program was honored by Long Beach City Mayor Robert Garcia for the film screening and panel discussion, with director Cory Shiozaki and writer Richard Imamura, of “The Manzanar Fishing Club” as part of the Feb. 18 Day of Remembrance, commem-orating the Japanese American internment during World War II. 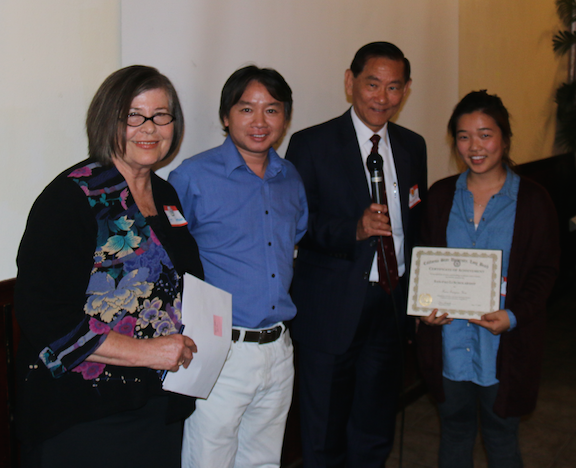 This newsletter highlights our new minor programs and innovative initiatives, the accomplishments of our faculty and Asian Studies MA students, and the awardees of our 2016 Spring Awards Reception. Our two new minors —Japanese Language and Culture, and Chinese Language and Culture—have attracted over seventy new students into these Asian Language programs. The new minor in Korean Language and Culture starts Fall 2016. And the first minor in Cambodian Language and Culture in the United States has passed the College of Liberal Arts curriculum committee. It should launch in Fall 2017. These minors provide an Asian language option for students with majors in science, business or engineering, thus making them more competitive on the current job market. We have also added a second year of language courses in Filipino to further support our Southern California Southeast AAPI communities. This year AAAS launched or participated in three new innovative programs in partnership with the University of California through the State’s cross-enrollment mandate or the Long Beach Unified School System. 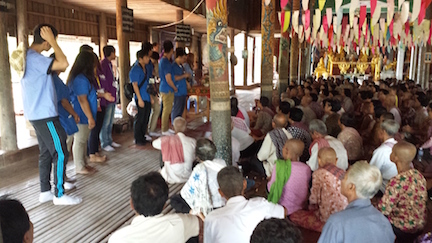 The first of these programs is the UCB-UCLA Khmer Language Consortium, which we joined in 2015. 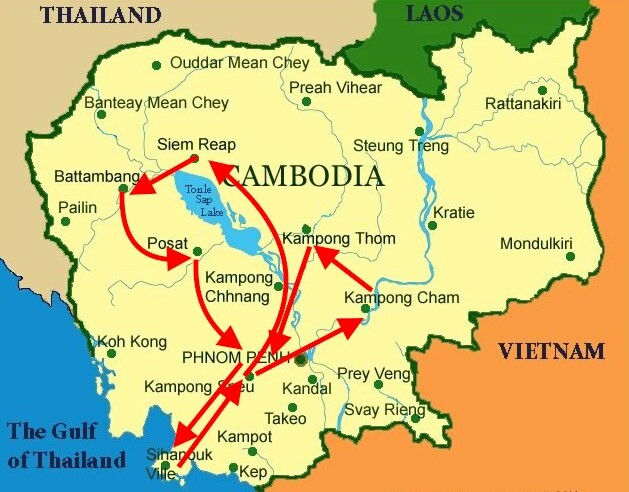 Through this we participated in a cross-enrollment program with UCB enables our Cambodian American students to participate in a synchronous teleconferenced course in Intensive Intermediate Khmer. This was a two-semester sequence for ten upper division units. Our students were reading Cambodia’s first modern novel Sophat by the end of the second semester. Our second new venture is Asian American Studies’ participation in the Ethnic Studies Program with the Long Beach Unified School District. The ethnic studies departments or programs—Africana Studies, Chicano/a and Latino/a Studies, American Indian Studies, and Asian American Studies—joined forces to develop a textbook for a CSULB course to be taught on Saturdays in LBUSD high schools. This is an ongoing program with great potential, making a positive impact on our Long Beach community and jump starting college careers by providing high school students with transferable college units. Finally, we began teaching our Chinese language courses (CHIN 101 and 102) at the new Sato Academy for Math and Science, which opened Fall 2015. This is a CAMS high school, located on the former Hill Middle School campus, close to CSULB. We were surprised at the student interest in Chinese. Nearly half of the student body (150 students) elected to take Chinese language courses from us. We hope to develop a certificate in Chinese language competency to reward these highly motivated high school students. We are working with the Confucius Institute to facilitate an opportunity for some of these students and their parents to spend three weeks in China during a summer study abroad experience in 2017. Our new MA program in Asian Studies has launched with a marvelous cohort of diverse students both local and international. This accelerated program is demanding since its core courses focus on understanding Asia as an integrated region and global economic power. Students with options in Chinese or Japanese language pedagogy in our Asian Studies MA become experts in Asia along with developing skills as Asian language instructors. Two of these students—Tomo Murakami and Liangyu Zhang-Moran— have already presented academic papers at regional conferences. Our MA students have many talents. Liangyu is an accomplished musician of classical Chinese instruments. And our entering graduate student, Ishmawiyl Claiborne, who grew up in China, is an artist currently working on a series of Korean women (Hanbok Portrait 1). 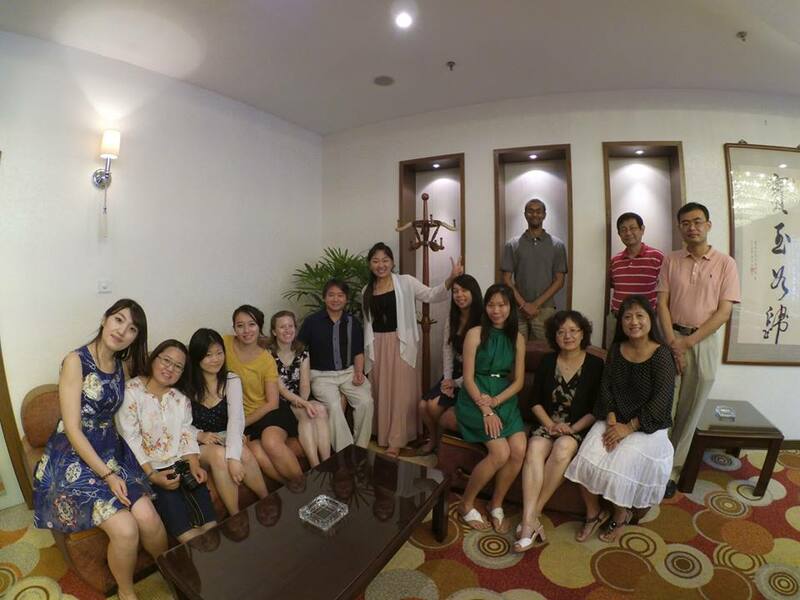 Pingying Chiang has received a summer internship at the Flagship Chinese Language Program, University of Mississippi, and Hui Cheng has received a summer internship at Shanghai International Studies University. We have reinstated our graduate student program, the Asian Studies Graduate Society. Their first project will be to assist the Confucius Institute in a 10-week Chinese Calligraphy and Culture workshop open to all students on campus during Fall 2016 at the Multicultural Center. 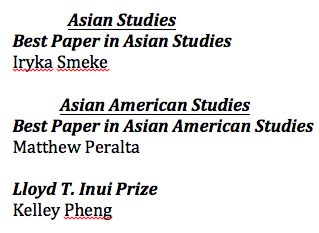 Asian and Asian American Studies. Dr. Truc HaMai was awarded the national recognition of 2015 Dissertation of the Year by the Council for the Study of Community Colleges (CSCC). 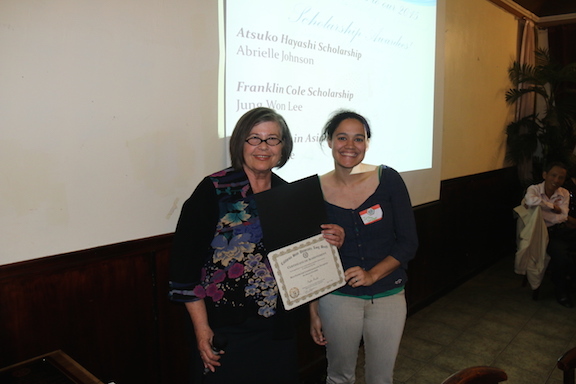 Additionally, her research was nominated for the 2015 Mildred Garcia Award for Exemplary Scholarship with the Association for the Study of Higher Education (ASHE). 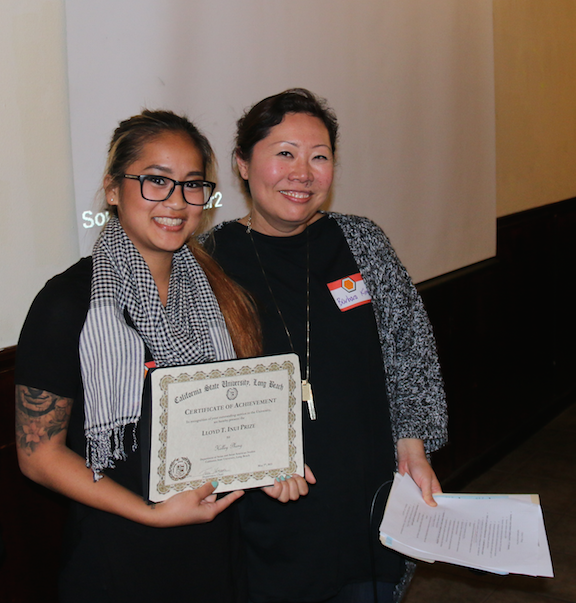 She delivered a keynote at the Equity Summit for the Community College League of California, acted as discussant for the Council on Ethnic Participation, and most recently, presented her research on Asian Pacific American faculty supporting AAPI students who not fit the Model Minority Myth. Professor Barbara W. Kim’s co-authored book with Grace J. Yoo, Caring across Generation: The Linked Lives of Korean American Families (NYU Press, 2014) received the 2015 Asian America Book Award from the American Sociological Association, Section on Asia and Asian America. She also authored one book chapter and co-authored two articles in 2015. “Adult Children of Korean Immigrants: Maintaining Language and Negotiating Ethnic Identities through Generations,” co-authored with Grace J. Yoo, was published in the KAERA Research Forum. “The Los Angeles Korean Community and Festival,” co-authored with Jung-Sun Park, was published in 한민족공동체, 제22호 (The Korean Community, No. 22) by the Overseas Koreans Research Institute. She was invited to contribute a book chapter, “Ambassadors in the Heartland: Asian American Racial and Regional Identities in the Midwest,” in Asian Americans in Michigan: Voices from the Midwest, edited by Sook Wilkinson and Victor Jew (Wayne State University Press, 2015) which received the 2015 Book Award from the Historical Society of Michigan. Chinese Studies. Assistant Professor, Haiping Wu published her co-authored article “Plural NP + Dou (都) Expressions in Mandarin: An Interactional Linguistic Approach” as a chapter in the book “Interactive Linguistics and Chinese Studies” (Vol. 1) by Beijing World Publishing Corporation (世界图书出版公司). Two more articles are in press: (1) the paper “Modified Resayings of Reported Speech in Mandarin Conversation” has been accepted by a refereed journal Chinese Language and Discourse, and will be included in one of the issues this year; (2) the article entitled “Patterns of Plural NP+dou(都) Expressions in Conversational Discourse and Their Pedagogical Implications” has been selected to be included in the special volume “Integrating Chinese Linguistic Research and Language Learning and Teaching” as part of the Studies in Chinese Language and Discourse (SCLD) series, which is expected to be published by John Benjamins in the second half of 2016. She presented her research “Reported speech in natural conversation and its application in second language teaching” at the 2015 ACTFL Annual Convention conference at San Diego. She also reviewed articles for the Journal of Pragmatics and for the special volume Integrating Chinese Linguistic Research and Language Learning and Teaching. Professor Masako Douglas published her article “Japanese Language Education of the Earlier Generations: From 1885 to World War II,” in Heritage Languages Historical Profiles, National Heritage Language Resource Center (http://nhlrc.ucla.edu/nhlrc/category/profiles). She gave two refereed presentations and one keynote presentation, and conducted four workshops in Japanese language curriculum and Japanese as a heritage language. Associate Professor Kiyomi Chinen gave two refereed presentations at the American Council on the Teaching of Foreign Languages (ACTFL) and American Association of Teachers of Japanese (AATJ) with her colleagues and conducted four workshops related to Japanese-language teaching in several regions in the U.S. Professor Hiroko C. Kataoka published “Bakkuwaado dezain ni motozuku nihongo shidoo: Karikyuramu to kurasu katsudoo,” in Proceedings of the NINJAL International Symposium, “Genba wo sasaeru nihongo kyooiku kenkyuu,” National Institute for Japanese Language and Linguistics ).She also gave two refereed presentations and two keynote presentations, and conducted six workshops in Japanese language pedagogy and Japanese as a heritage language, varying one day to six days in length. Around 150 parents, students, faculty, distinguished guests and friends of AAAS attended this year’s Spring Awards Reception at the Anatol Center at CSULB. We were entertained by MA student Liangyu, master musician of classical Chinese instruments, and her student Rose. We would like to acknowledge all of our outstanding students who received recognition at this event and our graduating class of 2016. AAAS undergrads traveled throughout Asia this summer to study the languages and cultures of Korea, China, Japan, Taiwan, Cambodia, and Vietnam. 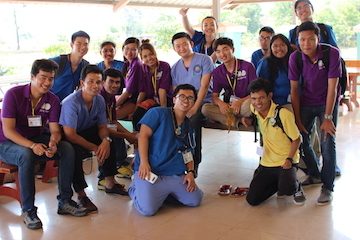 One of the highlights of our summer study abroad programs was a three-week public health education mission to Cambodia (June 17-July 8), which incorporated some cultural and business components. 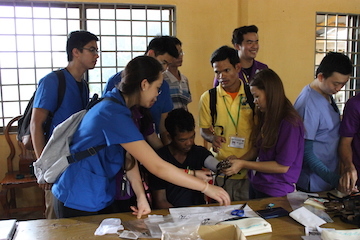 A/ST 490 was a joint effort with MESH (Medical Experience Through Service in Healthcare), a student organization at UCLA, and Cambodian-American students from CSU Long Beach. 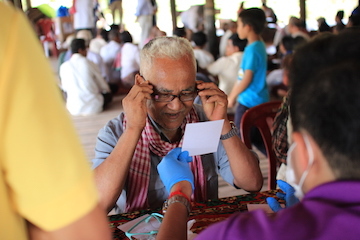 Nine students from UCLA and CSULB joined with seven students (pre-med, dentistry, pharmacology) from several universities in Phnom Penh— under the supervision of two advisers, a dentist and psychiatrist—to deliver health education presentations and some services to several thousand Cambodians, mostly rural farmers and plantation workers, through seven provinces of Cambodia. Home base was Phnom Penh. Families are responsible for patient food and care. 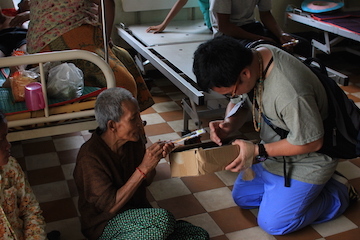 Part of the learning process for AST 490 required students to visit various public and private hospitals and clinics to see the range of service provision in medical facilities regarding sanitation and patient care. Conditions varied dramatically throughout the country. 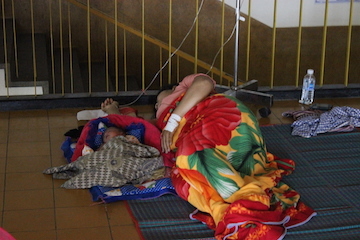 In some hospitals, patients were situated in corridors or on the floor, often in crowded or unsanitary conditions. 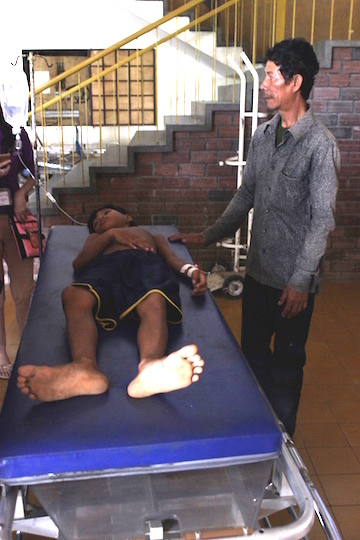 The pubic hospitals we visited were seriously understaffed, often without adequately trained nurses, modern surgical or dental equipment. 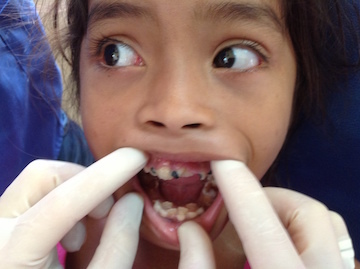 A very meaningful aspect of this program for students was the cultural exchange between U.S. and Cambodian students. They worked together on various projects, translation, and presentations over this three-week period. It was an effective way to develop a deeper cross-cultural experience through shared interests based on age and educational interests. All participants agreed it was a transformative experience. The American students in the course produced a handbook of short presentations on disease prevention and public health, now being translated by their Cambodian counterparts in Phnom Penh. 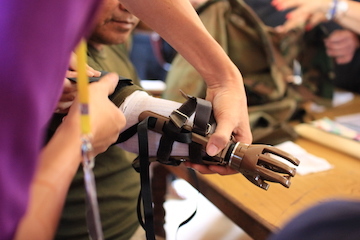 Special recognition to Instructor Teri Tan for her logistical power on this trip and for all the donations she received from various companies and medical doctors, including the LN-4 hand donations.